We have introduced a fantastic new way to communicate and share information with you, our parent community. At Lealands we want you to feel as much a part of your child’s education as possible and in order for us to communicate and engage effectively, we highly recommend you download the app on your smart phone or other mobile device. 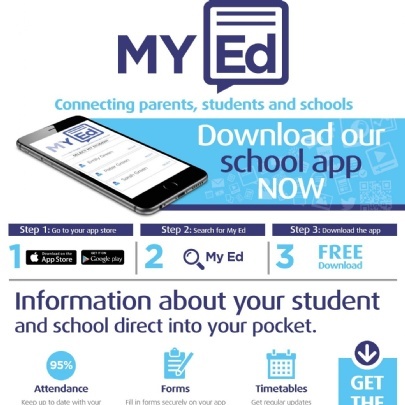 My Ed is the free parent app that gives you a multitude of communication and information features to stay in touch with what is going on at school. The app gives you direct access to your child's attendance, timetable, absence records, achievements and much, much more. You will also see that we update and change the information in the app as the school year moves along. Go to www.myedschoolapp.com to see a short video about the app. 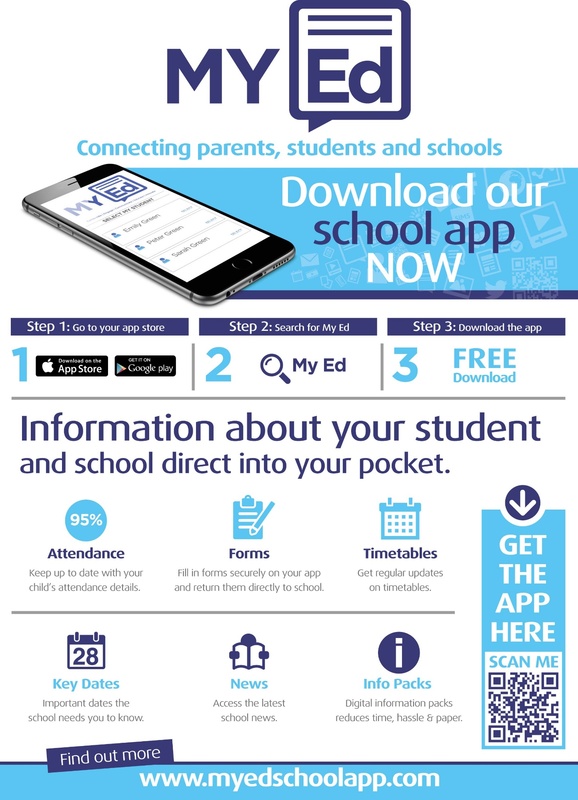 We are able to send you messages directly to the My Ed app relating to important information about your child's education and to remind you of events that are taking place at school. Once you have installed and opened My Ed, search for Lealands High School and follow the simple instructions to identify yourself. We hope you enjoy using the app and find it a useful source of information. If you have any queries about this, please do not hesitate to contact Mrs Goslin, School Business Manager.